So, you are wondering a phone over 6 inches(Mi MAX). Who’s gonna buy That ? But see this!!!!!! Mi Max goes out of stock in 19 SECONDS only…….. So, The New Big gone in 19 SECS… which is quite fast and unbelievable because a phone has huge display. You haven’t got ? 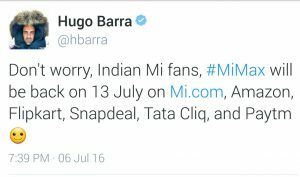 It will be back on 13th July on Amazon.in, Flipkart, Snapdeal, Mi.com, Snapdeal, Tata Cliq and Patym. Xiaomi Mi Max has finally been launched in India. The key highlight about this device is the new 6.44 inch display which is actually a phablet. The Xiaomi Mi Max starts from Rs 14,999 with 32GB internal storage, 3GB RAM and Snapdragon 650 processor and also a Rs 19,999 variant with 128GB internal storage, 4GB RAM and Snapdragon 652 processor. 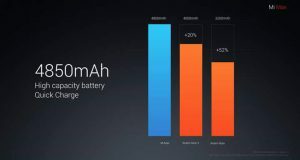 Mi Max is very similar to Redmi Note 3 from Xiaomi which was launch in March. The phablet also comes with a metal unibody design with a fingerprint scanner at the rear. It is just 7.5mm thin and weighs 203 grams, which is considered very heavy for a smartphone but feels well balanced for a big phablet like the Mi Max. 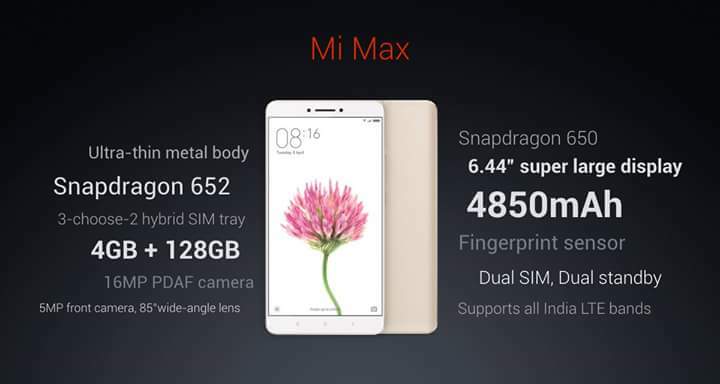 Xiaomi has also announced a special offer for Mi Max users. 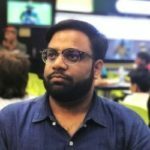 Xiaomi has partnered Hungama to offer 3 months of Hungama movies for free and one year of Hungama Music. The smartphone is available in silver, gold and dark grey color variants.